Nobel laureate Malala Yousafzai is the sixth person in history to become an honorary citizen of Canada. 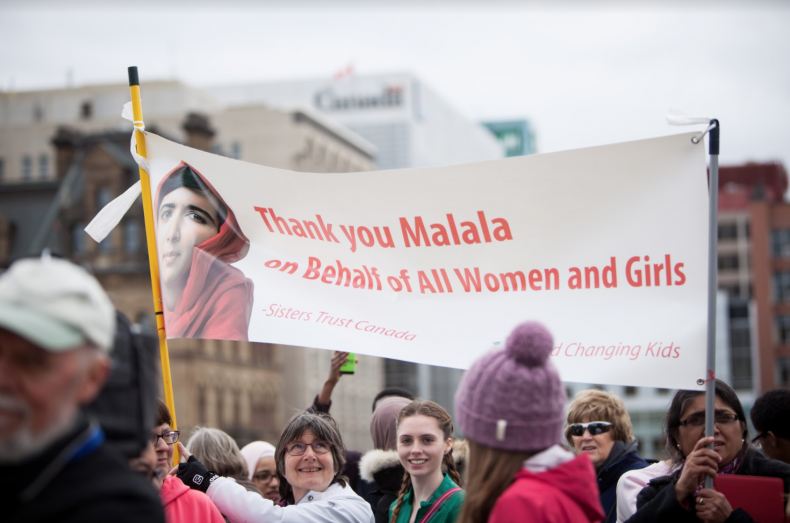 On Wednesday, renowned Pakistani activist and Nobel laureate Malala Yousafzai was given honorary Canadian citizenship during a rare commemoration on Parliament Hill. Accompanied by her parents, she accepted a certificate and Canadian flag from Prime Minister Justin Trudeau, before making history as the youngest person ever to address Parliament. Her parents wiped tears from their eyes, and Yousafzai clutched her heart at she was given a standing ovation after standing ovation. Adjusting her head scarf in the House of Commons, she called on all Canadians to demonstrate leadership in advancing education for girls around the world. She focused on the plight of refugees, who are five times more likely to be out of school than the global average, according to the UN Refugee Agency. "I know where I stand," said the 19-year-old champion of female education after minutes of thunderous applause.